I can live anywhere because of my business, although I choose to live in the Alaska of Europe right now, which is weird. I haven’t figured this one out yet. But I think it has something to do with me becoming a father next month, and being close to family is always nice. Ever since I was 18, I’ve always had my goals set on being able to do anything, from anywhere, and at any time. I began playing poker right out of school at 18. I could take my work anywhere, as long as I had an internet connection and a computer. The same is true with the online business I’ve built. It took a lot of up-front work, making mistakes, and screaming in frustration, but I’m making a living, and I’m learning more each day. Before we go into the 7 reasons, let’s have a quick refresher on what a lifestyle business is, shall we? My definition of a lifestyle business is an online business (in my case) built around my passion, which allows me to do what I want, where I want, and when I want. It adds freedom and control to my life, while I’m doing work I love. A lifestyle business is not for everyone, but if you’re like me and can’t get enough of learning, exploring, and doing new things, then it’s perfect, because it gives you the freedom to do that. Let’s start with the most important reason first: you get to kill your alarm clock. I’ve never been good at waking up in the morning, and I don’t intend to get good at it anytime soon. I want to sleep as long as I want. Sometimes that means waking up at 7AM, and sometimes it means blissfully snoozing until noon. I’ve had enough of bad alarm clock experiences from my time in school, which I didn’t enjoy, so I don’t intend to have more of them. 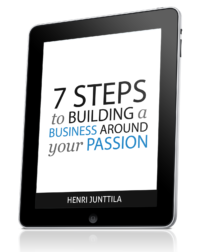 The internet has made it easier than ever before to turn your passions into a profitable and ethical business. 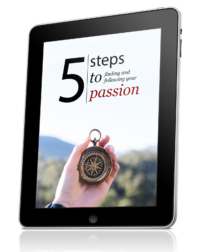 You can start a regular business around your passion, but it often won’t give you as much freedom in your life to pursue all the other interests you have. You no longer have to get a bank loan, rent space, or buy equipment. You can make a living serving others in a way that makes you happy and fulfilled. I’m not saying it’s easy, because it’s not. You can’t always get paid to do exactly what you love. You have to find the sweet spot between what people are willing to pay for, what you want to do, and what you’re good at (or want to become good at). A lifestyle business supports you in living life on your terms. If that means traveling the world, one country at a time, then that’s what it’s there for. If it means having more time for your family and friends, it can do that, too. If it simply means reading books and exploring what life has to offer, I’m pretty sure that’s possible as well. You do not need a lot to do what truly makes your heart sing. And yes, this is possible even if you have a family. Others have done it. You can, too. Skip the excuses. I won’t tie up my time each and every day doing something I don’t enjoy. Some days I put in long days while working on my online business, and some days I take time off to read, hang out, and just be. I have control over my time, and that’s one of my favorite things of having a lifestyle business. I want to be able to become obsessed with something and dive into it for a week or three months like when I studied Spanish in Spain. While running an online business as a solopreneur can get lonely, it also gives you more time to be with your friends, family, and pets. I’m not the best at scheduling my time, and I’m okay with that, because it’s not a problem (that I’m aware of anyway ;)). When I get inspired, I work, and when I’m not, I take time off. Sometimes I have to get something done when I’m not inspired, but that’s a part of business. You can’t get everything on a silver platter. For me, running a business has been one of the biggest growth experiences of my life. It constantly pushes me into uncomfortable and new territory. It forces me to grow as a human being. This isn’t just about the money for me. It’s about creating the life I want to live, both on the inside and on the outside. I want to have time to focus on the personal development side of life, not just making money and bathing in material abundance. What this really boils down to is freedom and inner peace. We don’t build businesses to build businesses, we do it because it gives us something else, and for me that something else is the freedom to live my life my way. It’s what allowed me to spend 11 months in Spain in 2010, and it’s what will allow me to spend a lot of time with my newborn baby. We all have different goals, and a lifestyle business is not for everyone, but if you resonate with what I’ve said in this article, then it might be for you. It’s easy to get stuck, make mistakes, and lose hope. But it can be done, if you are willing. Sure, I’ve spent half a decade falling on my face, but here I am. My passion is to help people turn their passions into a real business and lifestyle, which is why I’ve started a monthly coaching program for those that are struggling to make it work. If you’re interested, check it out, because spots are limited. (I like free time, remember?). There’s no need to do something you despise, or do work you hate anymore. The solution is always at your fingertips, even if it doesn’t seem like it is. Congratulations on the upconimg little one! You won’t need an alarm clock soon – the little one will wake you up lol! Kids are something that change your life. So happy for you! Thanks Annie. I’m excited and looking forward to it. Ha! Annie got to the comments first. I too was going to mention no need for an alarm clock now! Congratulations on the soon to arrive little one. Interesting that no. 2 on your list is Passion. Something that will surely expand waaaaaaay beyond business with fatherhood on the horizon. I’d also add that a lifestyle business alows us to be authentic and true to ourselves. We give ourselves permission to untether from inflexible social conventions structuring the ‘outside’ workforce. When you have a lifestyle business, it allows you to do more of what you want and get rid of what you don’t want. Congratulations, Henri! I have two winter babies of my own. You’ll love it; children expand and deepen your world like nothing else. I’m sure I will love it, and that my child(ren) will be more teacher to me than I to them. Thanks for the comment, Kathie! Yes, that seems to be the crux. I’m making the transition to a lifestyle business for exactly these reasons. I’m at home with my three kids (ages 7, 5 & 2) which is priceless! And, speaking of sleep and alarm clocks, thanks to the little ones I haven’t needed one in years. Actually I haven’t had 8 hours of sleep in about 8 years but it’s soooo worth it. You just adapt. On the personal development side, it’s amazing how much I used to be tied to “the way things should be” according to the corporate world. Over the past year of writing on my blog, I’ve discovered much more of the true me. After spending over 20 years in corporate finance, I’ve discovered that I love to write, among other things. Henri – Thanks for the reminder of the core reasons why I’m following this path. And best wishes with your new arrival!!! Hopefully I’ll adapt, because I can’t function properly without my precious sleep. When you do what you want to do, you grow, and especially if you want to make it a profitable business. Well I don’t have any alarm clock’s problems since I always get up early to go out for a quick run. I’m very happy that you’re going to become a father yourself in one month or less and I really like the fact that you can take it so calm. I think I would be nervous as hell! I spent around 2 weeks there (Madrid & Barcelona) just like one month ago and completely fell in love with the place, so cool! Anyway, thanks and looking forward for what your stories are going to be like. I have some Jedi tools I use to let go of emotional baggage, so minimal nervousness is present. I’m mostly excited. There is no need to worry about the future. It will come whether you feel good or bad, so you might as well enjoy what’s here now. Because is there anything wrong with now, unless you think about it? Spoken like a true Master Jedi. All should go well with the baby coming soon. As we say here in Israel: “B’sha’ah tova.” Meaning, it should all happen at a good time. Agreed. It’ll happen when it happens. All of the things you mention are exactly why I’m determined to succeed. #1 particularly resonates with me after dragging myself, zombie-like, out of bed at 6am this morning! Haha, that is a good motivator! Congratulations on the new arrival, forget about alarm clocks and get ready for the adventure of your life. There will never be another dull moment in your life from the first day on. Children are a truly a blessing in disguise and will fill your life with love, joy, sadness and entertainment as you and they travel the highways of life. I know what I’m talking about here, I’ve got five and everyone with a different personality and behavior. You’re right to say they will be teaching you more than you them. Just be the great example they can follow and trust. You seem to be that kind of individual from your writing. I always told mine one thing while growing up, I’m not your friend I’m your father to help you get ready for life and when it’s time for you to head out on your own adventure in this world then I’ll be the best friend you’ll ever have. Thanks for your great insight on life which you express in your writing and get ready for the ride of your life with the little one. Great blog post! Found you via your comment on TheSalesLion [Marcus] great insights here and there. If you need ever have any questions, just let me know. If you’re right at the beginning of your journey, start with finding the intersection between what you love to do and what people are willing to pay for. You may want to check out this post: 7 Warning Signs That Your Lifestyle Business Might Fail.